As mining sites continue to expand into remote locations, developers are faced with the challenge of minimizing the impact of large runoff streams and metals-laden wastewater on the local environment. To address these challenges, Ecologix provides a complete range of integrated water and wastewater treatment systems and services. 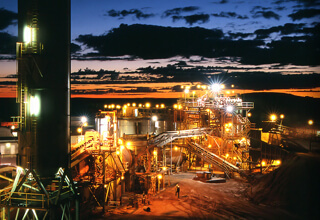 Wastewater from extractive operations ( bauxite, coal, copper, gold, silver, diamonds, iron, precious metals, lead, limestone, magnesite, nickel, phosphate, oil shale, rock salt, tin, uranium, molybdenum) has to be properly managed in order to prevent any water or soil pollution arising from acid or alkaline leaching of heavy metals. 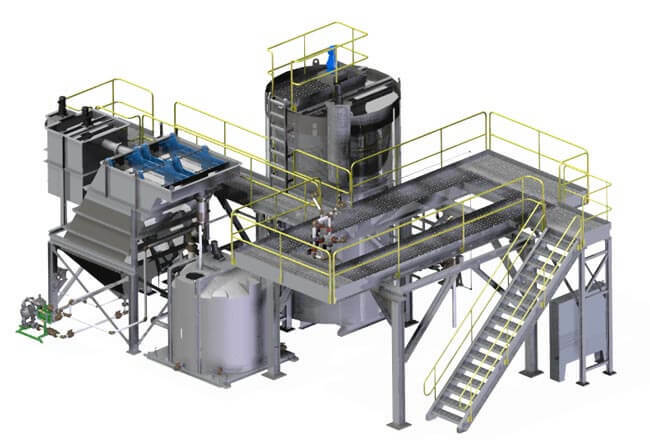 With the right system in place, treatment of these waste streams can be easy to manage. Ecologix Environmental Systems has extensive experience in the design and installation of these types of systems and we’d be glad to consult, design, and build the right solution for your operation. Contact us for more information on how we can help. 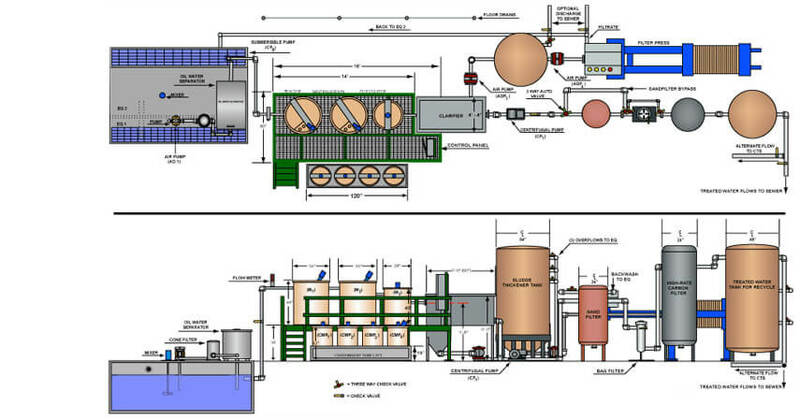 This plant design integrates a 200 gallon per minute incline plate clarifier with chemical mixing tanks, flow equalization, clearwell tank and raised platform for a sludge dewatering filter press. This system removes solids and metals from groundwater, and is upstream of a deionization process. Adjusting the pH of the wastewater so that the metals will form insoluble precipitates. Introduction of a coagulant into a mixing tank to facilitate the collision of the metal particles to form larger particles or flocs. Adding a flocculant finally in the form of a polymer will further bind the particles into larger clumps which will then be allowed to settle in sedimentation tanks for collection/removal. Water exiting the sedimentation tank can then be filtered to catch particles that were too small (or limited by time) to settle in the sedimentation tank. Filtration systems used may contain sand or activated carbon as an example. The filtration systems will routinely require backwashing to prevent clogging. The water flow is then reversed during backwashing and this water will be sent back to the mixing tanks in stage 1. Sludge treatment will be used at the sedimentation stage which would include dewatering to remove excess water. This water may also be sent back to the initial mixing tank for processing.